IAG Yachts is a relative newcomer in the boatbuilding business. This yacht building company is an autonomous business unit of the International Audio Group. The competency and capacity of IAG Yachts in constructing high-end luxury yachts and superyachts are amply complemented by strong financial backing, well-oiled organisational support and sufficient resources by the International Audio Group. The modern production facility of IAG Yachts is equipped with state-of-the-art equipment and machines. 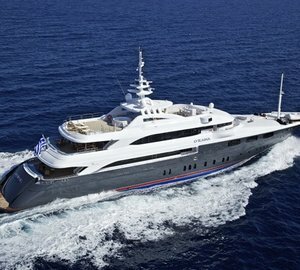 It also integrates contemporary production solutions and techniques in the construction of high performance motoryachts and superyachts. The company’s shipyard is based in the southeastern region of China in Zhuhai, Province of Guangdong. For more information on IAG charter yachts available for boat rental and a personalised list if yachts that best suit your needs and style, at your preferred destination, please, contact us here. IAG Yachts is committed to produce a broad range of motoryachts and super yachts that meet the highest standards of safety, quality, craftsmanship and seaworthiness. The company continually seeks out new and emerging trends and solutions that would address cost efficiency, high performance and high quality core materials. It also invests extensively in research and development to develop new and better design concepts and production solutions that would improve their competency and capability in delivering high-end luxury yachts and motoryachts to their clients. 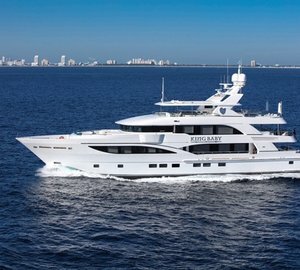 IAG Yachts has launched its very first yacht project, the FRP Tri-Deck motoryacht, in March of 2010. 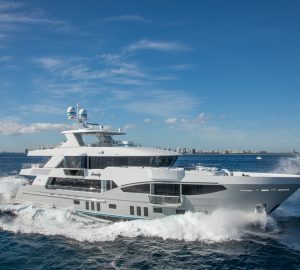 This 127-footer motoryacht PRIMADONNA (now called NO BADA BEES yacht) has been designed and constructed to meet the standards of quality and performance and comply with strict international rules applicable to charter yachts. 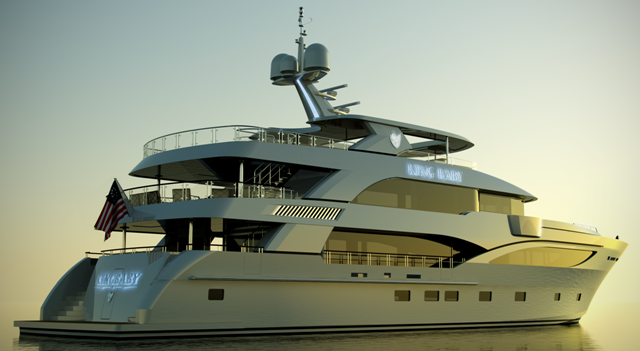 This high performance motoryacht was constructed based on the design template of YD & AS design studio. This is the main reason why the overall design of the motoryacht is distinctively Italian. IAG Yachts is committed to partner with distinguished and respected designers and naval architects for their yacht construction projects. It continually seeks support and collaboration with eminent design houses and naval engineering companies. The collaborative efforts of eminent builder Andrea Nicolai and the company’s team of highly-skilled and experienced interior designers create a synergy in their collaborative yacht construction projects. In addition to this, the company uses only the finest materials in their construction projects, and they scour the market for the best and most trusted brands. Two of the high profile and most successful construction projects of IAG yachts are the Primadonna and Electra superyacht. The IAG 127 Primadonna yacht is the debut yacht construction project of the company. It is a perfect synthesis of fine craftsmanship, classic Italian design and supreme naval engineering. This high-end motoryacht is made of fibreglass and comes from the 127 Yacht series of the company. It is classified under RINA and is compliant of MCA standards of performance and safety. 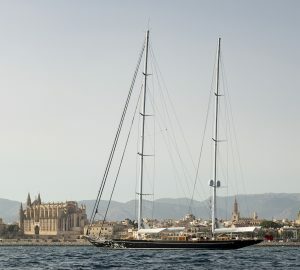 This high-end superyacht was constructed based on the design developed by YD & AS, a distinguished design house in Italy. On the other hand, IAG Electra is the hallmark of perfect confluence between contemporary techniques and aesthetics. The Electra, which belongs to the IAG 100 yacht series, was also constructed based on the design template developed by YD & AS. For more information on IAG charter yachts and a personalised list of yachts that best suite your requirements and style, at the destination of your choice, please contact our experienced brokers here.